Five Children is amazing as well. I second this. It’s still in my Viki queue to rewatch sometime in the future. I really enjoyed it. This show will stay in my queue as well. Seen it but I didn't like the woman he married she was manipulative. I loved 5 children though that one was a fantastic drama. The 2018 Korea Drama Awards celebrated some of the best performances and dramas in the past year! The ceremony was held on October 2 at the Gyeongnam Culture & Art Center. 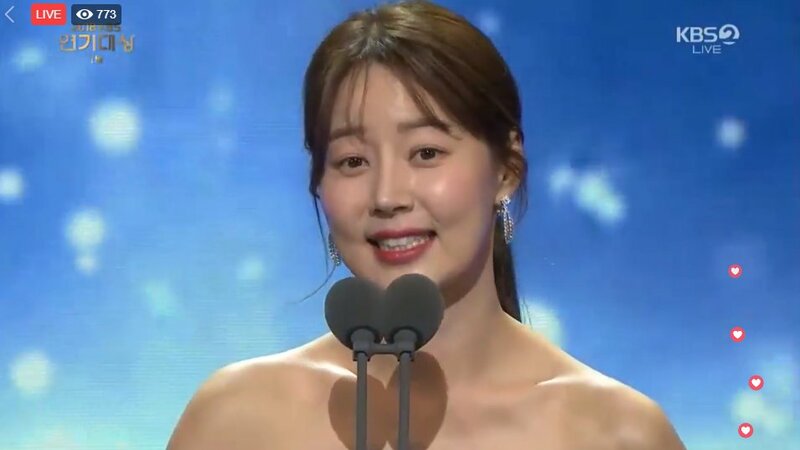 Now in its 11th year, the Korea Drama Awards includes dramas from the three largest networks (KBS, MBC, SBS) as well as cable channels such as JTBC and tvN. 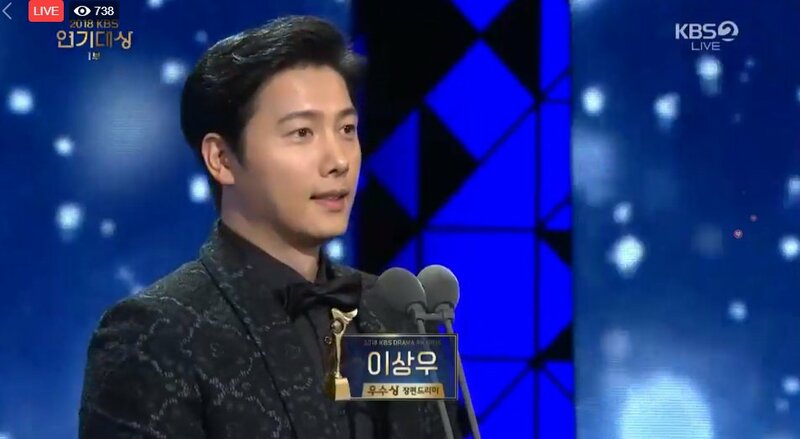 KBS drama “Marry Me Now” was the biggest winner of the night, receiving four awards in total: Best Drama Award, Grand Excellence Award for actor Yoo Dong Geun, Best Script Award, and Best OST Award. Nominations for Top Excellence Acting Award. Lee Sang Woo on the red carpet with his wife, Kim so yeon, at 2018 Apan Star awards, on October 13th. 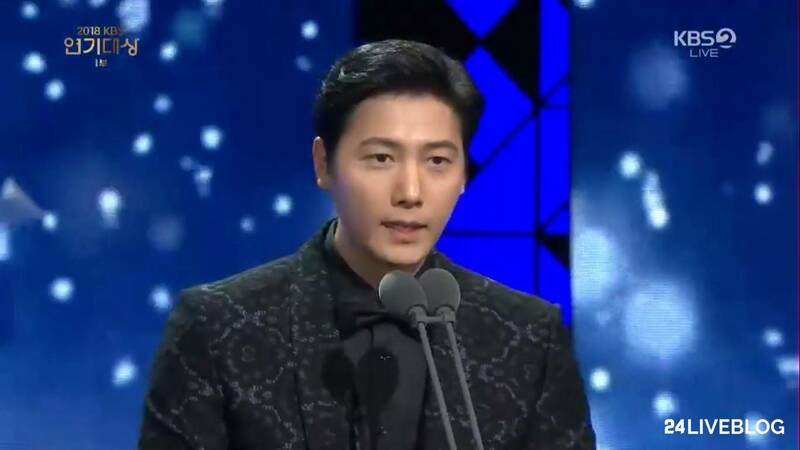 Lee Sang Woo wins Top Excellence Acting Award at 2018 APAN STAR AWARD. 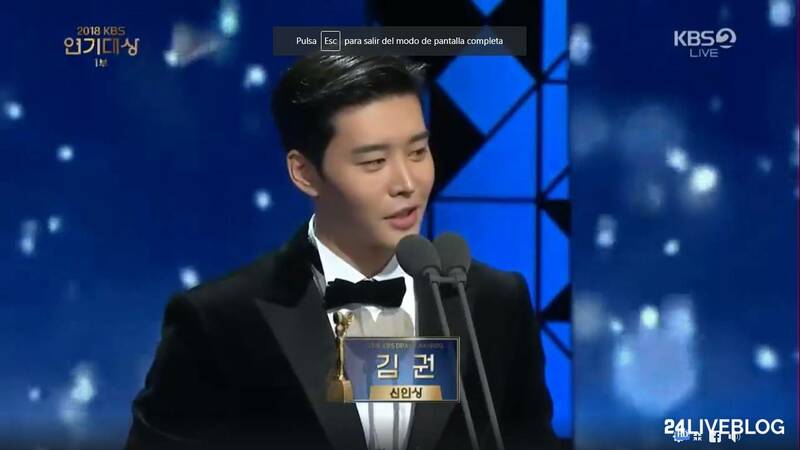 Best New Actor goes to Park Sung Hoon ("My Only One" and "Black Knight" and Kim Kwon ("Marry Me Now")! Kim Kwon says he didn't expect he'd win. 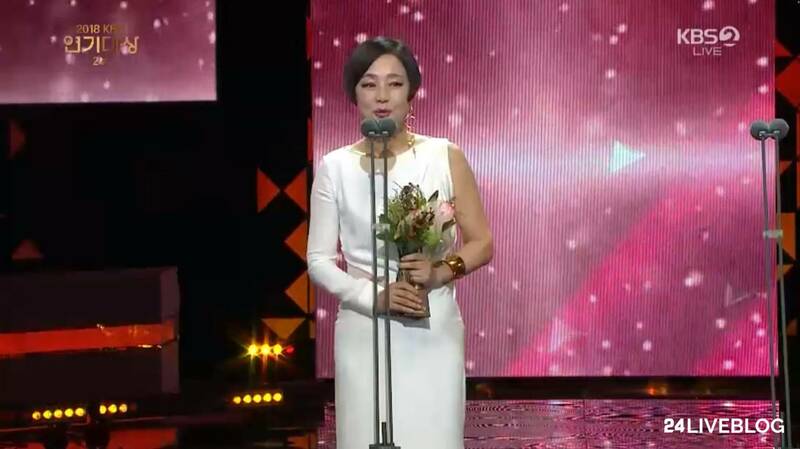 Says it was an honor to act with senior actors Jang Mi Hee and Yoo Dong Geun in "Marry Me Now." Thanks agency people, family, and grandparents. 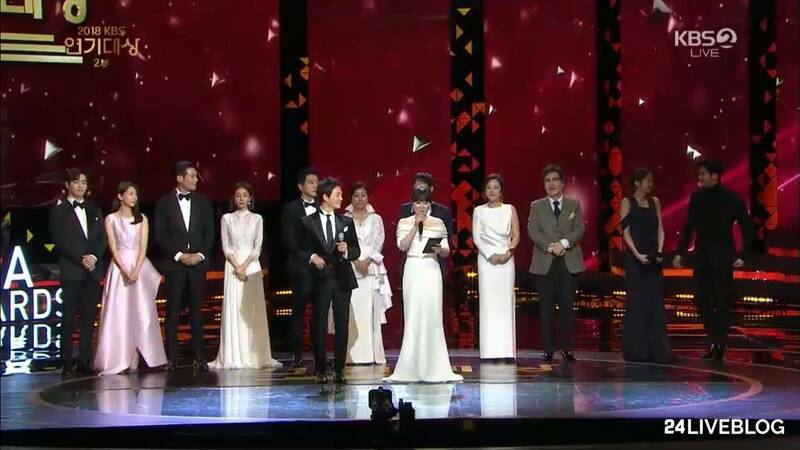 Lee Sang Woo (Marry Me Now) and Lee Jang Woo (My Only One) are the winners! Lee Sang Woo says this is his first award from KBS! Awwwww he said I love you to his wife, Kim So Yeon! 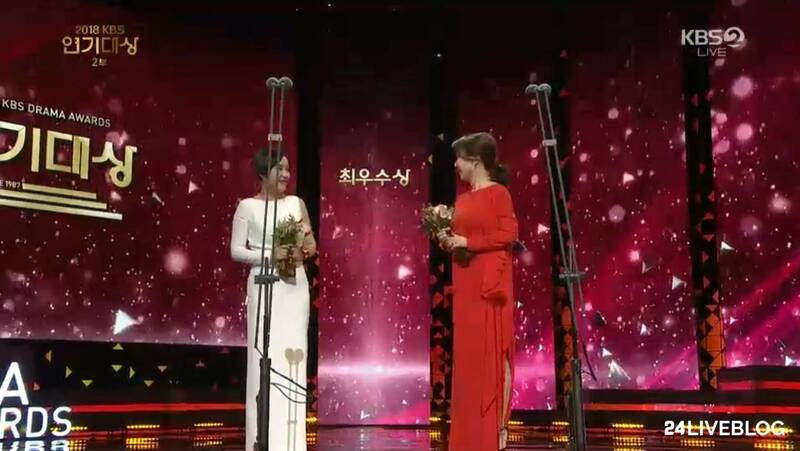 Female Excellence Award in Long Drama Han Ji Hye (Marry Me Now) and Uee (My Only One) are the winners! Han Ji Hye shows her love for her cast members and talks fondly about how they would chat in the waiting room about what to each for lunch. Fifth couple to win is Yoo Dong Geun and Jang Mi Hee from "Marry Me Now"! Jang Mi Hee says she met a perfect acting partner in Yoo Dong Geun. Yoo Dong Geun's face got red! Yoo Dong Geun thanks his wife actress Jeon In Hwa. Says it's his first Best Couple Award! Jang Mi Hee and Cha Hwa Yeon! Jang Mi Hee says her promise with viewers is to always try your best no matter the situation. Says she will continue to put effort into her acting. Yoo Dong Geun and Kim Myung Min!